Around a month ago Xposed framework was released for Oreo versions and it was a long awaited mod and as soon as it arrived I flashed it and installed dozens of modules all at once. The thing about Xposed is it can be an angel or a devil or even both at once if you have messed up with some of the modules or even one it can cause serious issues in your phone. Even though I never faced "serious" issues but I do face minor glitches caused by modules and most of them can be fixed easily with a solution or a workaround. 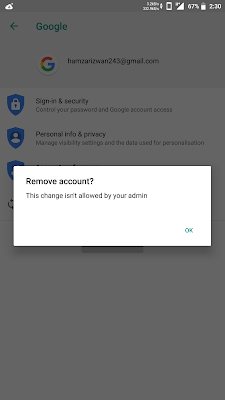 Similarly, one of the modules broke the hooks of registered Google account with the installed Google apps like can't sign in into Chrome browser or even consistent crash of Google Play Games consequently preventing all the games from running games which uses Play Games for sign up.